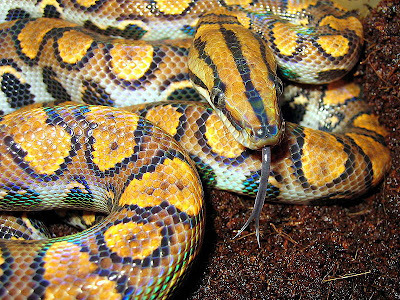 Scientifically called Epicrates cenchria, this uniquely colored snake is a boa found in Central and South America. 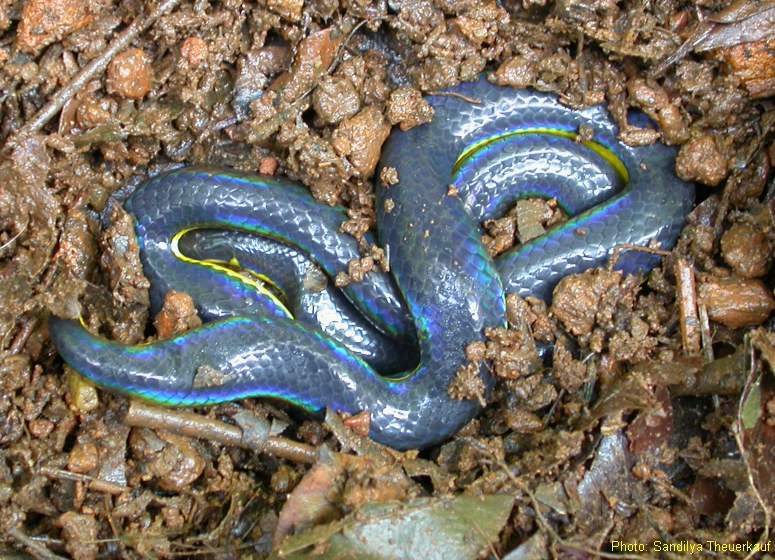 This species is known for its attractive iridescent sheen. 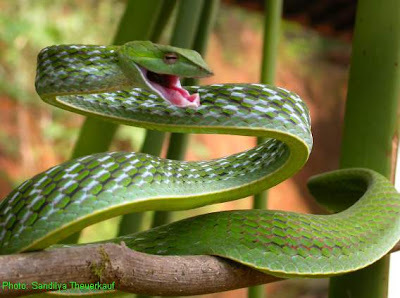 The Long-nosed Whipped Snake or Ahaetulla nasuta with pretty geometrical color pattern is a slender green tree snake found in India, Sri Lanka, Bangladesh, Myanmar, Thailand, Cambodia and Vietnam. The green vine snake is diurnal and mildly venomous. To show a black and white scale marking, this snake expands its body when disturbed. They are slow moving, relying on camouflaging as a vine in foliage. They open their mouth in threat display and point their head in the direction of the perceived threat. 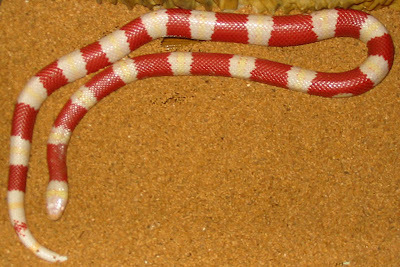 Found in Mexico to the Pacific Coast, this awesome-looking snake is the Nelson's Milksnake (Lampropeltis triangulum nelsoni) is a type of king snake. It is non-venomous and similar in size to other king snake, averaging 42 inches long (107 cm). 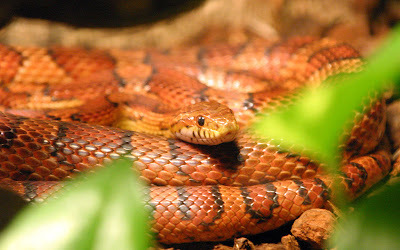 Commonly known as Corn Snake, this brightly colored snake called Red Rat snake (Elaphe guttata) and found in North America. The size of an adult Red rat snake is 1.2 to 1.8 meters (3.9 to 5.9 ft). They can be pet snakes with simple care. In captivity, they may live as long as 23 years, but usually live around 15-20 years in the wild. 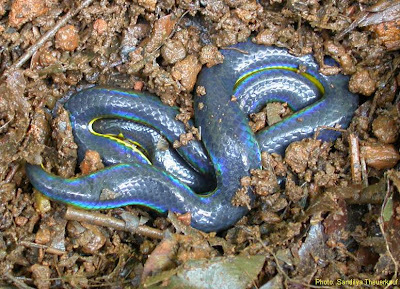 Found at an elevation of about 5,000 feet, this two-lined Black Shieldtail or Melanophidium bilineatum is a species of snake found in South India.